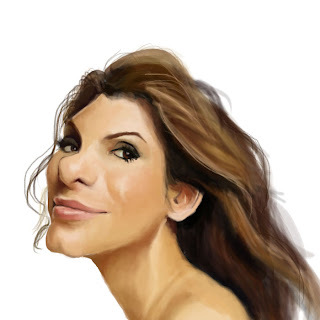 Just watched the movie 'The Blind Side', which I highly recommend, and thought that I should try a quick study painting of Sandra Bullock. I thought she had a great face for it but found her rather hard to capture. Oh well. Nice work Jim - in fact I like them all - the shark, simon cowell etc - take care mate ! Thanks Tel...Hope all is well with you!